Ms del Pozo de Bolger is a Clinical Psychologist and an English-Spanish Translator. Ms del Pozo de Bolger's research interests include environmental factors as moderators of early childhood risks for developmental outcomes; complex trauma; and, transgender issues. del Pozo de Bolger, A., Dunstan, D., Kaltner, M.(2016). Conceptual Model of Psychosocial Adjustment of Foster Care Adoptees based on a Scoping Review of Contributing Factors. Clinical Psychologist. Jones, T., del Pozo de Bolger, A., Dunne, T., Lykins, A. & Hawkes, G. (2015). Female-to-Male (FtM) Transgender People's Experiences in Australia: A National Study. Cham, Switzerland: Springer. ISBN 978-3-319-13828-2. 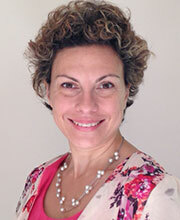 Ms del Pozo de Bolger has experience working with families with complex psycho-social needs in Child Protection.